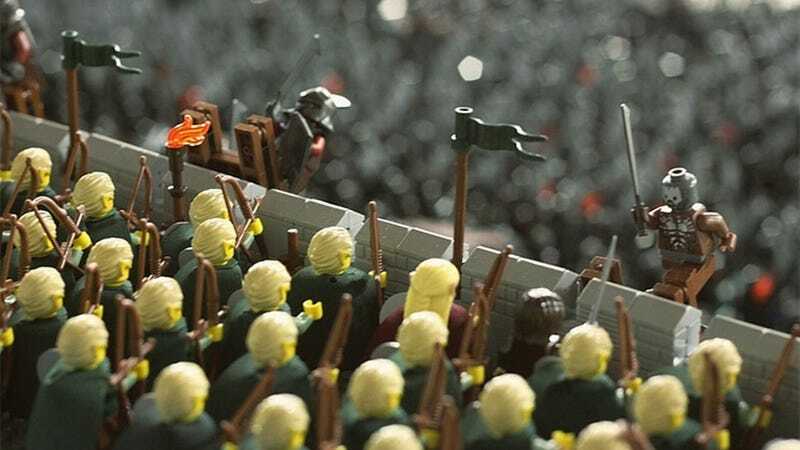 LEGO Helm's Deep Redefines The Term "Epic Battle"
This isn't the first time we've seen the wettest battle from the Lord of the Rings trilogy recreated in LEGO, but it's easily the most impressive, at least in terms of scale. I don't know how he got so many minifigs to pad out the scene, and I don't want to know. All I know is, if you want to pay homage to the battle with LEGO, you're off to a good start packing it full of meat for the grinder. Shame he doesn't have a better camera, but you can easily get the idea.